Please consult us before purchase if could not 100% sure about your lens and camera mount. With a Nikon 1-Series camera (such as the J2), you will need to make sure the camera is in 'Manual' exposure or shooting mode and the focus selection is also set to manual. When in any other mode the camera tries to take control of the lens which is not possible as the adapter does not have any contact with the camera circuitry, so you get the lens check warning as the camera does not think there is a lens attached. 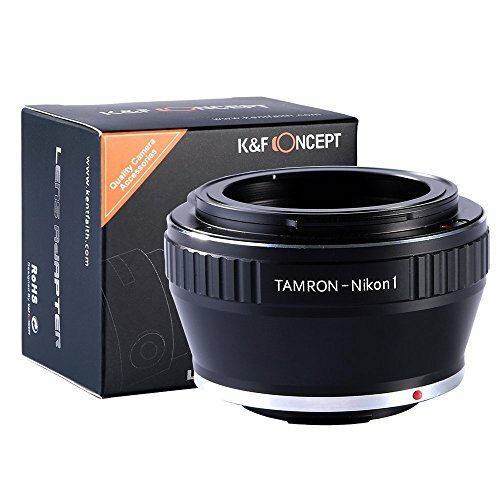 Infinity focus position: the position of the infinity mark 【∞】of the telephoto lens or super telephoto lens is shifted slightly to the positive side to enable focus adjustment even when focus shift is caused due to temperature changes. The shift range is denoted by an L-shaped line, Be sure to check the focus through the viewfinder even when you shoot at infinity. No matter what kind of issue you encountered on this item or this transaction, please contact our professional after service team for help. Customer satisfaction is always our #1 goal. We will help you until your issue is fully resolved.